About » Where do my mangoes come from? 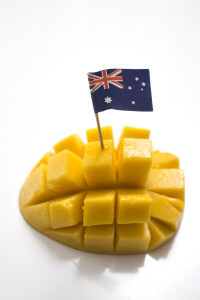 In Australia mangoes are grown in the tropical and sub-tropical regions of the Northern Territory, Queensland, New South Wales and Western Australia. 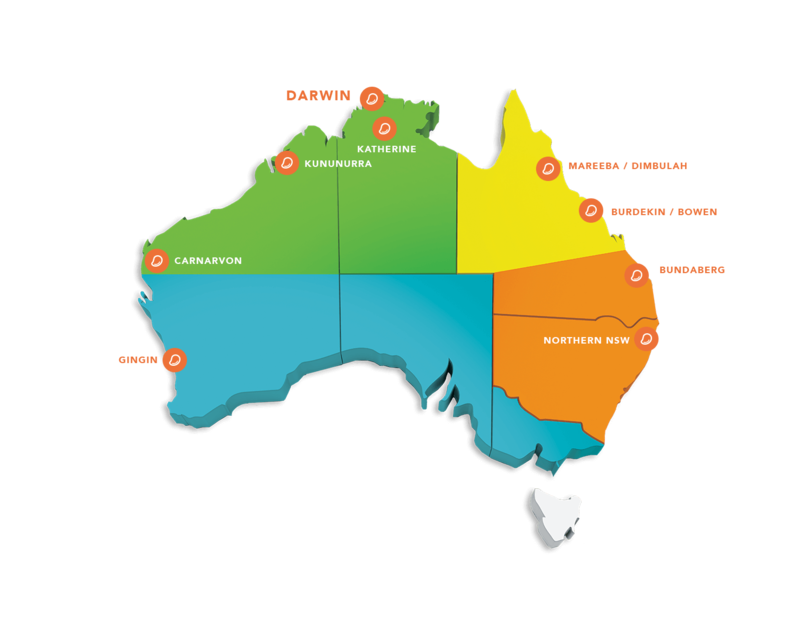 Production starts in the Northern Territory (Darwin and Kununurra in September and Katherine / Mataranka in October / November) and Western Australia in September, followed by Queensland’s dry tropical regions (Townsville / Burdekin / Bowen) in mid-November, Mareeba / Dimbulah in early to mid-December, Central Queensland in late December, and South East Queensland and Northern New South Wales in January. The mango harvest is made up of several varieties “Kensington Pride” is the most common (52%), followed by Calypso™ (22%), “R2E2” (13%), Honey Gold™ (7%), Keitt (2%) and other varieties including Nam Doc Mai, Keo Savoy, Palmer, Kent, Parvin and Brooks make up the remaining 4%. 90% of the Australian crop is consumed domestically. Of this, 95% is sold through the ‘fresh’ supply chain and the remainder is utilised by the processing sector, 10% is exported overseas.